The Insa Turbo Special Track-2 205/70 R15 96S Tyre is a ultra-high traction tyre designed for the top competition, and engineered for Off-road competition vehicles. Sporting an aggressive pattern that provides an excellent traction in all-seasons, this tyre offers great grip, an excellent traction and a better resistance to external aggressions. 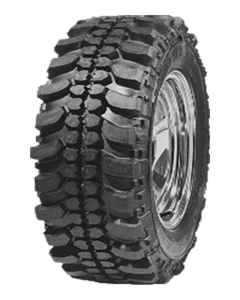 An optimum tyre for the most demanding terrains and therefore ideal for your Off-road vehicle. Sorry, we currently do not have any tyres with the Special Track 2 (retread) pattern in stock.